High Rise Sit-Stand Desk Converter is a simple solution to a common workplace problem: too much sitting. Studies show that sitting for prolonged periods of time is detrimental to your health. 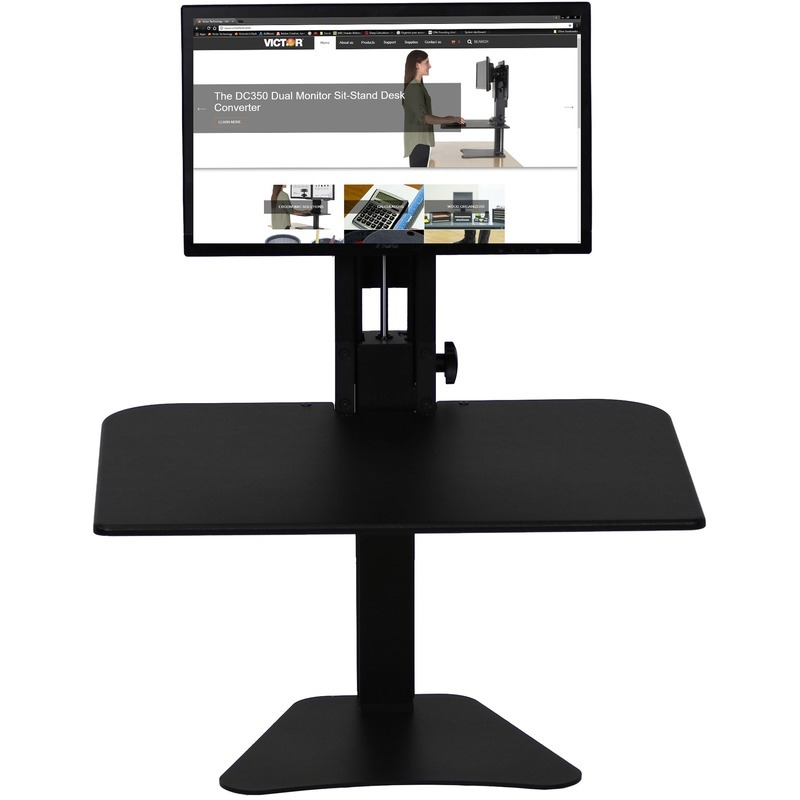 Using this converter to stand while you're working reduces or eliminates the pain you experience from being hunched over your desks and the negative long-term effects of sitting for long hours. It transforms any sit-down desk into a sit or stand-up desk. The 28" wide x 23" deep surface is raised up to 15-1/2" for ergonomic placement of laptop computer, keyboard, mouse or papers while standing. Gas strut design allows easy custom height adjustment of both desk and monitor with the loosening of a knob. Monitor holder is also height-adjustable. For a break from standing, simply push the surface down to desktop level. Sleek wood construction and a durable laminate coating provide years of use. The rear portion of the desk is tapered to fit corner cubicles. Heavy steel base prevents tipping.